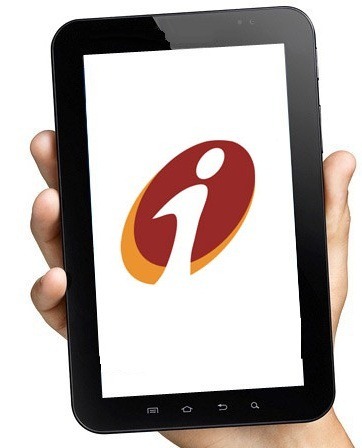 As the countries’ state owned banking sector comes out of a two-day lockdown, ICICI Bank has launched twenty five Electronic Branches and Tablet device Banking in a bid to make banking convenient with the help of technology. The IT based initiatives include other innovative services like E-Locker, Bank-on-the-Move, Help-on-Tab and Electronic Branches. Acknowledging the fact that more than one-third of ICICI Bank’s transactions happen on the internet, CEO Chanda Kochhar said "We have always leveraged technology to make banking convenient and enhance customer experience. Our continuing adoption of innovative technology reinforces our commitment towards improving and developing our relationship with our customers. The new initiatives are in line with our "Khayaal Aapka" philosophy of keeping the customer’s needs as the focal point of our business." Initially the bank has launched 25 electronic branches which will allow customers to engage in ‘self-service’ transactions twenty four hours a day. The branches will have various automated machines including an automated teller machine, cash deposit kiosk, cheque deposit machine and an interactive kiosk called the I-Interact. These Electronic Branches will also have telephones for phone banking and video conferencing terminals to facilitate real time interaction with a customer care representative 24/7. Walk-in customers will also have access to computers for internet banking. Chanda Kochhar emphasized the fact that Electronic Branches will be more than just cash withdrawal points. She said "The electronic branches are not glorified ATMs, they have a wide range of features and customer experience which is not there in an ATM centre", reported TOI. The bank has also launched Tab Banking, an initiative which will allow customers to tap into ICICI Bank’s services from the comfort of their homes or offices. Authorized customer service executives will carry a tablet from which a range of banking services will be accessed including opening a new account. The executives will be able to scan KYC documents and also take a picture of the customer. Mobile connectivity will allow these documents to be sent to respective departments. The Tab Banking service has the potential to eliminate the primary need and concept of visiting a branch. At Trak.in, we recently highlighted some of the important documents that everyone should organize and also mentioned scanning and e-storage as a potential archive. Addressing similar concerns, ICICI Bank has launched E-Locker, a virtual locker which will be made available to customers via the bank’s internet banking platform. Initially the bank will offer a storage space of 1 GB to its wealth customers. High quality scans of documents can generally be anything between 500 kb to 2 MB+, which means that 1 GB will be enough for hundreds of documents. E-Locker appears to be a pioneering initiative which allows customers to safely scan and store copies of important documents like certificates, statements and legal documents like land sale deeds, etc. No longer will tech savvy customers need to be worried about buying an extra hard drive to store and backup scans of important documents. For its customers in rural areas, ICICI Bank has launched Bank-on-the-Move, a kiosk that will allow customers in far flung places to carry out day-to-day banking transactions. The kiosks will be connected to ICICI’s servers via GPRS and Wi-Fi connectivity through which customers can withdraw/deposit cash, open fixed deposits, issue a DD, etc. Additionally, ICICI Bank will also start using a service called Help-on-Tab to reduce overall service times at its regular branches. Staff at the branches will use tabs to pre-process customer transactions as they wait for their turn to reach a teller. Besides a string of other banking services that have been made available 24/7, access to a customer service executive via one of the Electronic Branches’ video conferencing systems seems too good to be true. However it is important to remember that the Electronic Branches will function along with the regular branches and the bank’s core bank end. It would be impractical to expect the standalone branches to become be all end all service points. But will the end customer accept this or will he/she whine about the link being down, machines hanging up and a slew of other IT related problems? While the above question can possibly thrown around in every imaginable initiative that is primarily driven by technology, ICICI Bank’s launches are undoubtedly path breaking and unheard of in the Indian banking system. Almost every tech savvy customer will welcome and be eager to embrace these e-banking services. As time goes by, these initiatives may even be the foundation of next generation banking solutions. Top 10 Indian Twitter Trends of the Week! Tab Banking Solution : Will it be the future? Recognized as the ‘Best Enterprise Mobility’ solution, at the PC Quest Best IT implementation Awards 2013.